A prominent Red Cross flag flying over a barbwire strewn battlefield. 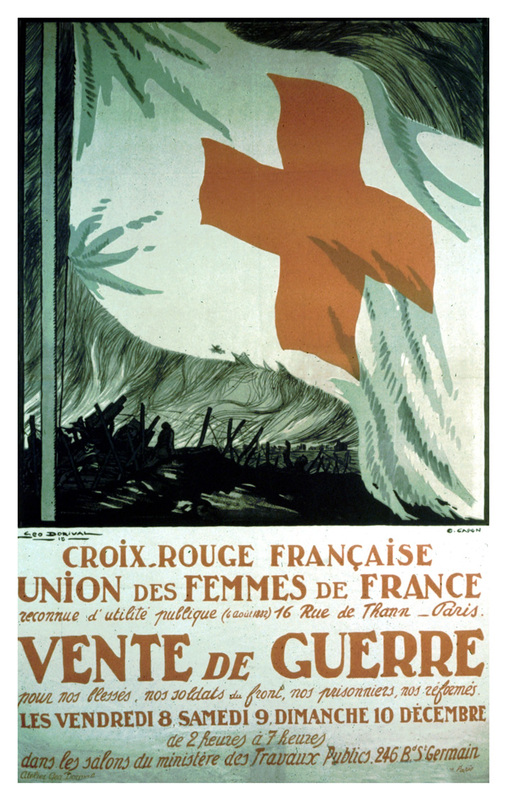 Poster Text: CROIX-ROUGE FRANCAISE / UNION DES FEMMES DE FRANCE / . . . VENTE DE GUERRE / . . . [French Red Cross - Union of the Women of france . . . War Sale . . . ].